As a small church pastor, I have to keep these two tasks in balance – preaching to the congregation, and spending time with members. 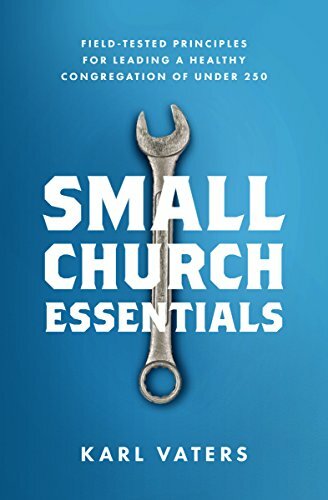 Preaching is one of the most important responsibilities of the pastor in a small church context. It’s important, not just because it is the most visible function of a pastor, but because it is one of the primary tools for discipleship. As pastors, our primary job is making disciples (Ephesians 4:11-12). And in the Great Commission, Jesus told us that “teaching them” is one way to do that. So the time we have behind the pulpit is the most consistent tool we have to inform, inspire, and equip disciples. An annual preaching calendar helps me to prepare a consistent spiritual diet for our congregation. Each year, I try to do 2-3 series from each of these categories. Applying these filters allows me to keep track of what I’m communicating and how I’m discipling from the pulpit. Having considered these factors, I begin to plug the sermon series ideas into the calendar (I use a spreadsheet). Then I assign each sermon or series a category: theological, doctrinal, practical, or cultural. This helps me see if I have similarly-purposed series grouped too closely together. This list then goes to my ministry team for their review and comment. Our church uses the “big idea” approach, so small groups and children’s ministry are able to track along with the weekend messages. Meeting with our all-volunteer ministry team to see where we are headed a couple weeks or months down the road helps us to stay on the same page. Lastly, I spend one day a year (usually in November or December) with three other pastors to review our preaching calendar plan. Each pastor gets two hours to present and receive feedback. Since none of us have big staffs, we are able to help shape some of the ideas for each other and learn from each other.